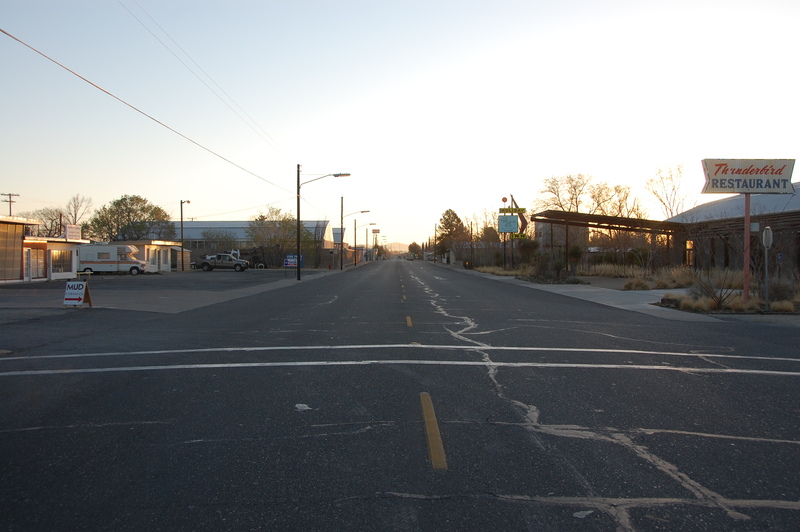 Marfa, from the perspective of a non-hipster. And Scott’s dancing skills. Scott and I really just are not that cool. But we like to do cool things. 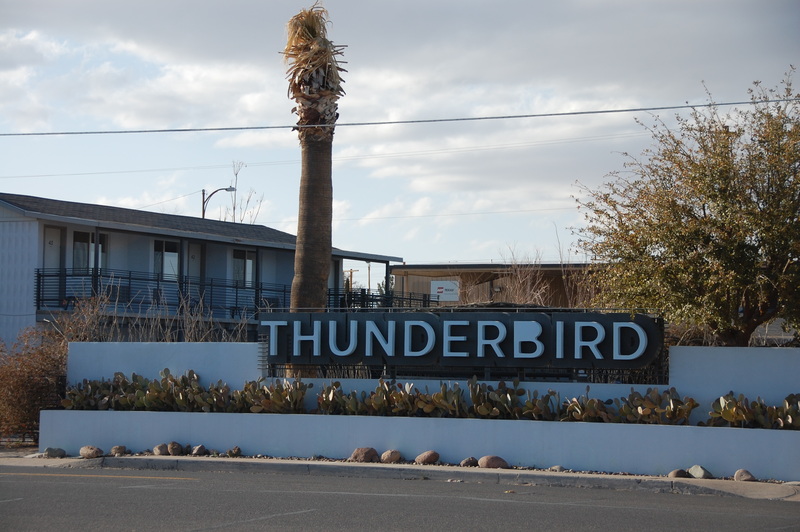 So we spent Saturday night in Marfa. 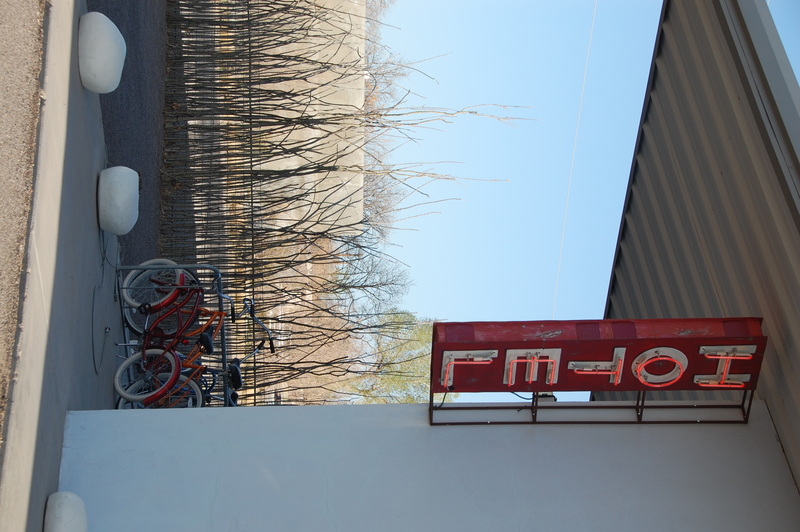 And Marfa is one interesting place. 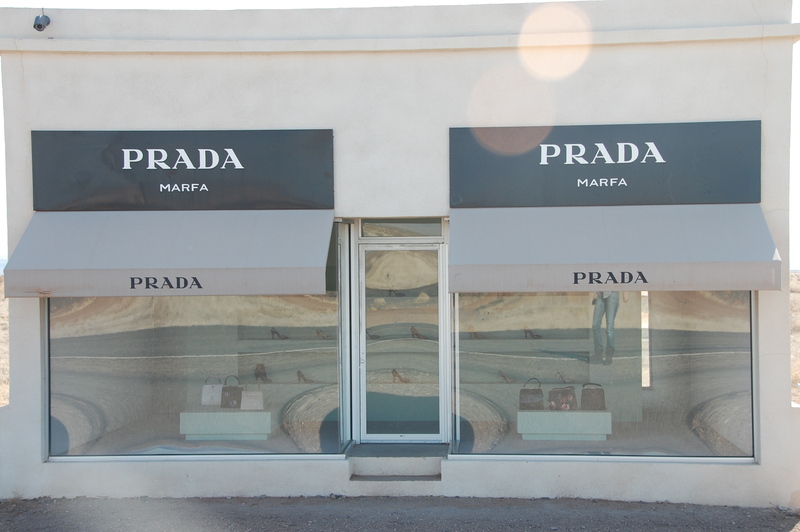 We had heard a lot about Marfa, from a lot of cool people–where to eat, where to stay, when to go, etc. 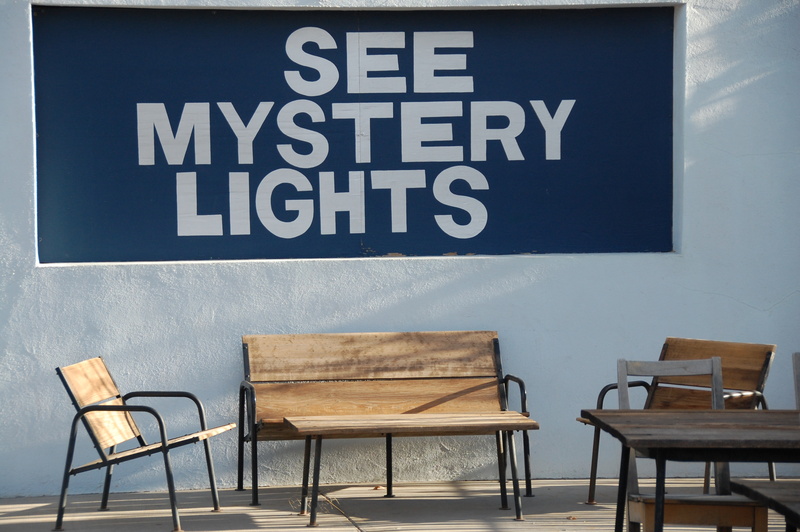 And it really was a cool place–but my gosh–I can’t figure out why exactly it exists. First of all it is in the middle of nowhere. 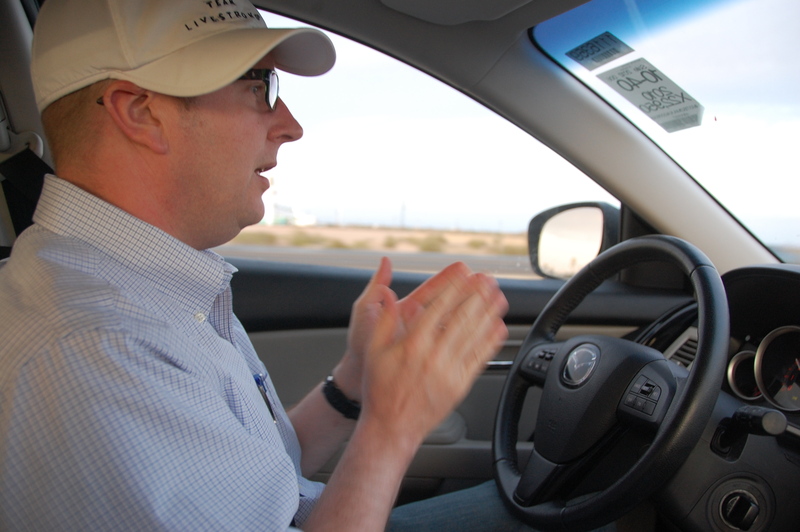 Really–nowhere–like outside of El Paso by an hour or two. 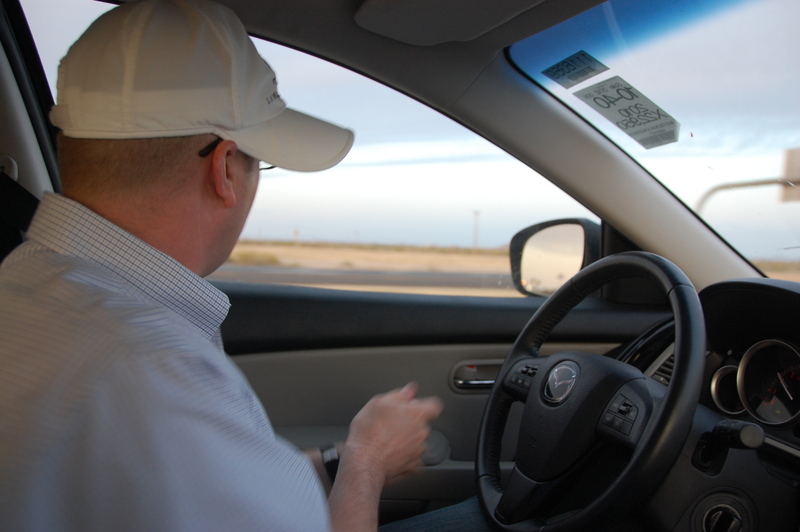 When we turned off of I-10 to get to Marfa, I think we encountered about 15 cars on the way. Not many people. But in the middle of the nowhere, we found this. I have no explanation. The place did not have a door. It was just a display. 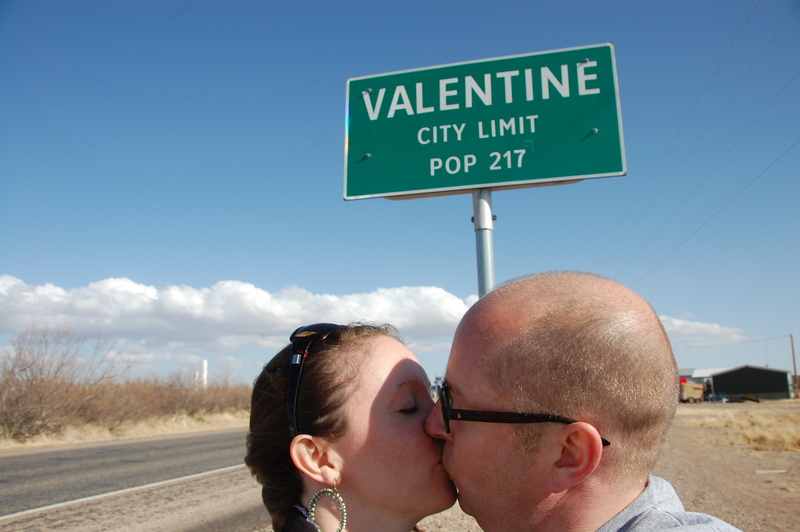 And between the Prada store and actual Marfa, we stumbled across the town of Valentine. We made the most of Valentine and its sign! Oh. 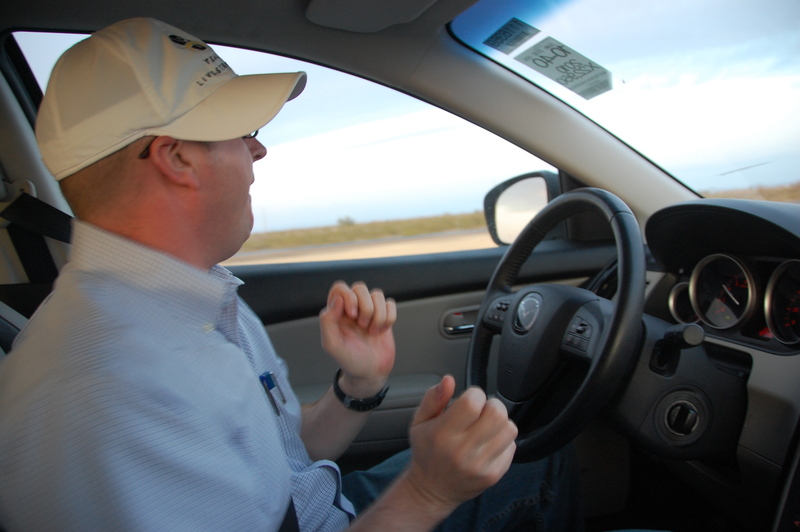 And Scott danced a little bit along the way. 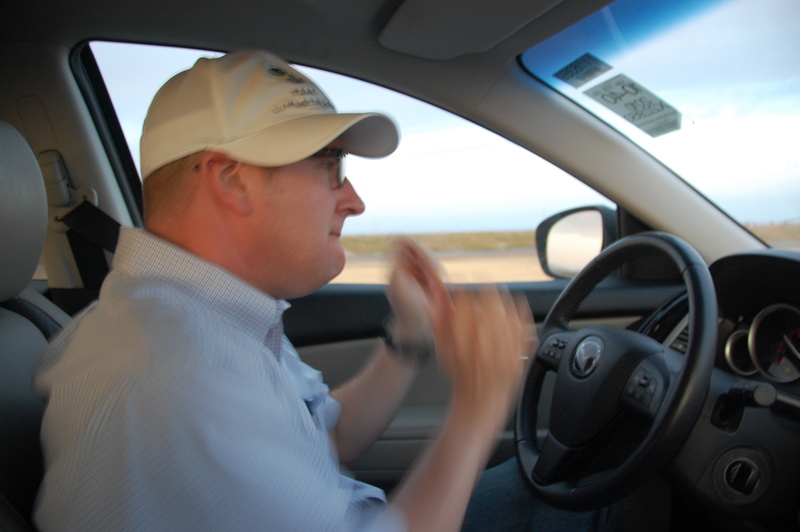 If you can’t tell by the below pictures, this is Scott dancing. Maybe he is sort of cool. Oh yes. Scott is cool. 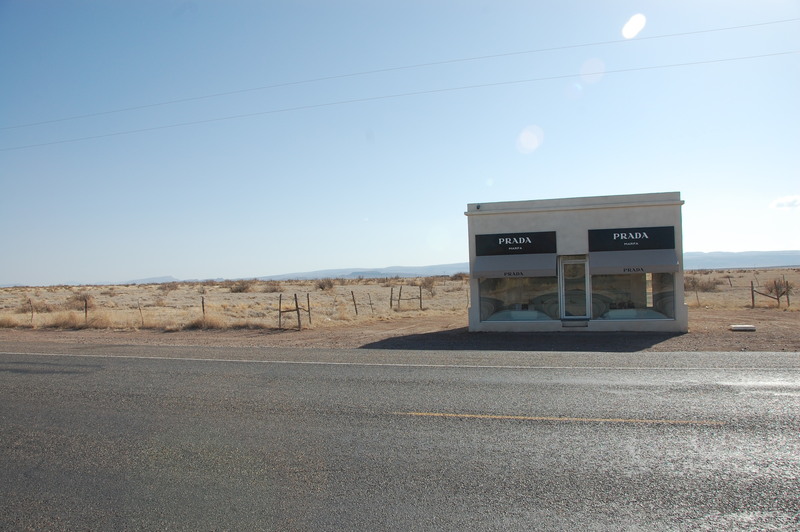 This is Marfa. It looks a little dead. But boy howdy. It isn’t. 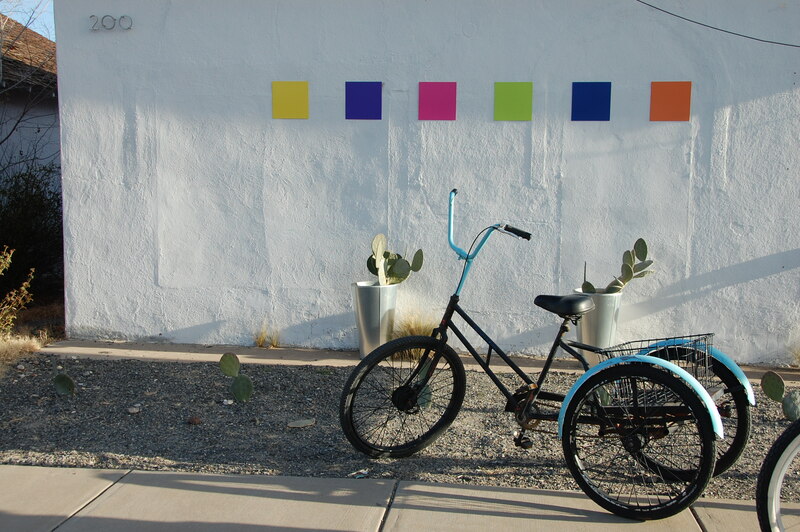 I rode this bike around town. I think this wall belongs to a gallery of something. Here’s our hotel. Scott was hacked that it cost what it did because it was what they call “minimalist.” Maybe we snagged some extra matches and a coffee cup to make the cost justified. Maybe. But I would not ever admit that on anyplace other than the WWW. I think they call this piece of metal art because I don’t think it is in use. Yes, the camper is also art. 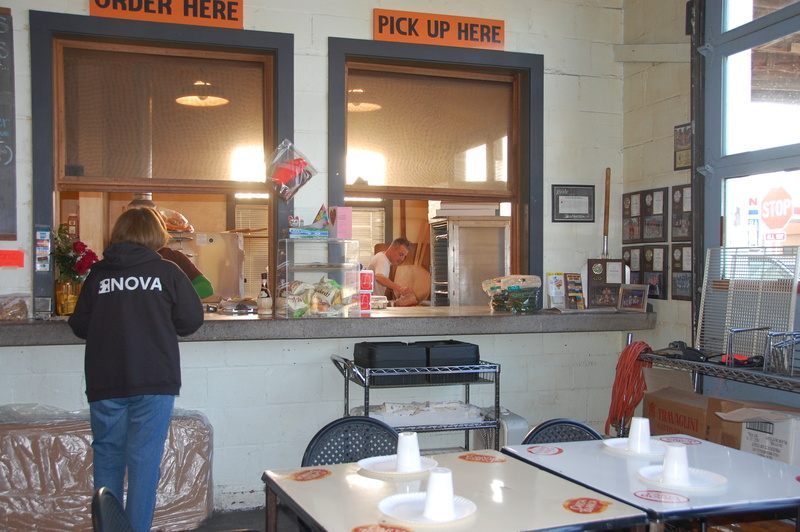 This was the most hoppin place. Pizza wait was an hour and a half. We scored slices instead and they were good. Though I felt the need to apologize to the lady that owned the place and took our order. 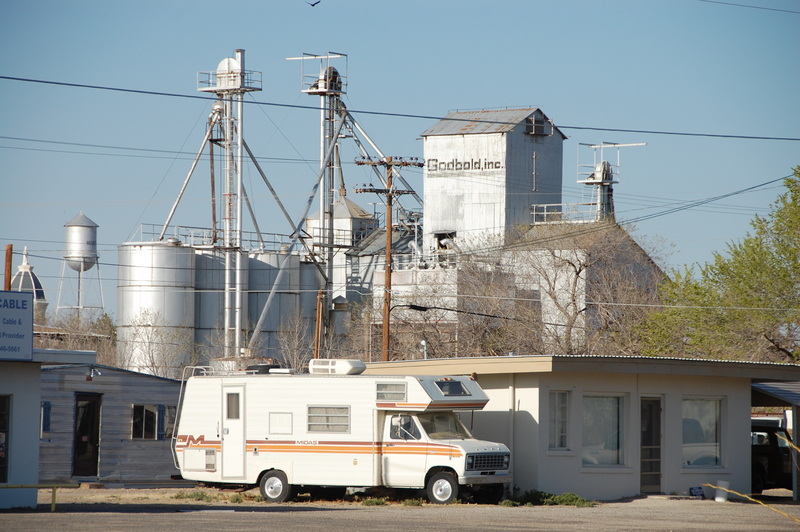 This was the Marfa version of the soup natzi. Charming. 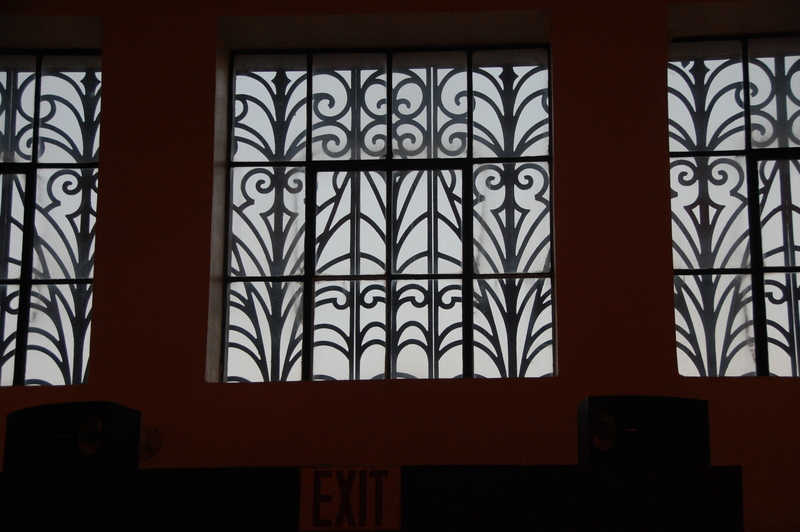 This was the window at the place where we ate dessert. White table clothes, fine dining, but everyone was either wearing carhardt jackets, or had weed in their pockets. Fascinating crowd. It was a wonderful trip. Loved it. Where did u eat dessert?